Given its reputation of being the Entertainment Capital of the World, it’s no surprise that there are tons of opportunities within the hospitality industry. For those with a business-driven mindset, the startup culture in Las Vegas also holds some distinct possibilities. With the Zappos headquarters’ relocation to downtown Las Vegas in 2013 came CEO Tony Hsieh’s vision to create the most community-focused large city in the world. 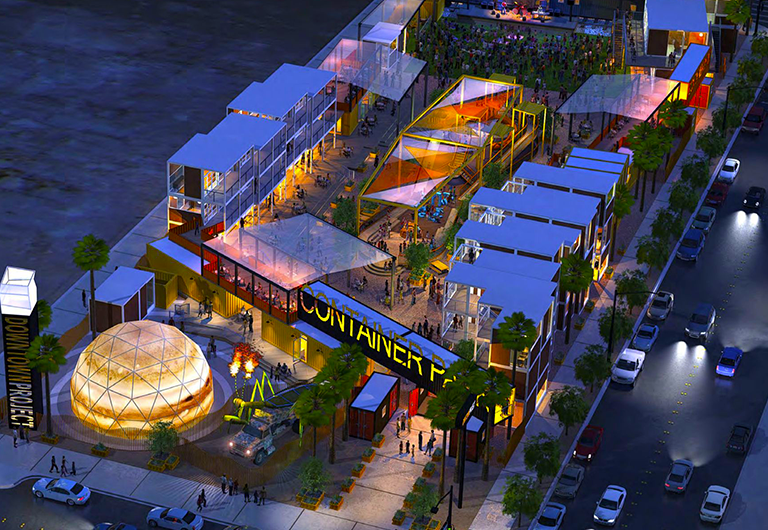 The Downtown Project has made Las Vegas a hub for startups and small business ventures. Las Vegas is a land of opportunity and a great city to not only start and grow a new business, but also raise a family. Now that you’re moving to Las Vegas, we have exciting news! Nevada does not have a state income tax. Property tax rates in Nevada are also low. While Las Vegas might have a higher sales tax (at 8.15%), there’s also a hotel tax paid by tourists that helps keep other local tax rates low. While owning a car makes getting around most places a bit easier, Downtown Las Vegas (and the Strip) are easy to navigate without your own vehicle. *Walking or Bicycling: Downtown was called “the most walkable neighborhood in Las Vegas” by WalkScore.com, offering an average of three restaurants, bars and cafes within a five-minute stroll. *Bus: The Las Vegas Public Transit system covers nearly any route a passenger could ever need to take. Monthly fares are available at $65 on either a Strip & Downtown Express or Residential pass, and kids under 5 ride free. *Monorail: If you’re on the Strip, the Las Vegas Monorail offers unlimited-ride single day passes or multi-day passes that shuttle passengers back and forth between seven popular hotels. Downtown Project scored a deal with Tesla, creating an initiative called Project 100 that offers “the ultimate in collaborative consumption.” Project 100 includes 100+ on-demand drivers, 100+ shared cars, 100+ shared bikes, and 100+ shared shuttle bus stops included in a single monthly membership. Las Vegas is welcoming a handful of new sports teams! Last year brought the arrival of the National Hockey League’s Vegas Golden Knights and the Las Vegas Lights FC, our professional soccer team. The Lights’ home turf, Cashman Field, is only 1.5 miles from your home at Juhl, which makes it easy to spend your evenings supporting your home team! Las Vegas also gained the WNBA’s Las Vegas Aces (formerly the San Antonio Stars), which arrived this year and the NFL’s Oakland Raiders who are scheduled to relocate to Las Vegas in 2020. Living in Las Vegas, you should anticipate 300+ days of sunshine a year! Located in the Mojave Desert, Las Vegas’ climate ranges from mild in winter months with cold nights, to highs of 100+ degrees in the summer. Rain is scarce with an average of 4 inches annually. Voted as one of the “Best of Las Vegas 2017” winners, LVAC locations also offer a variety of classes that consist of group fitness, water-based workouts, high intensity interval training, strength training, and much more! Facilities are clean and convenient with new, high-end equipment for members. Real Results sets itself apart with a variety of classes including cardio, boxing, recovery, and more. It is also home to Real Cross Training, a 1-hour crossfit-inspired program that targets the entire body and is suitable for beginners to advanced fitness gurus. Juhl also offers a two-story fitness center equipped with plenty of equipment to enhance your at-home workout. Need more information? 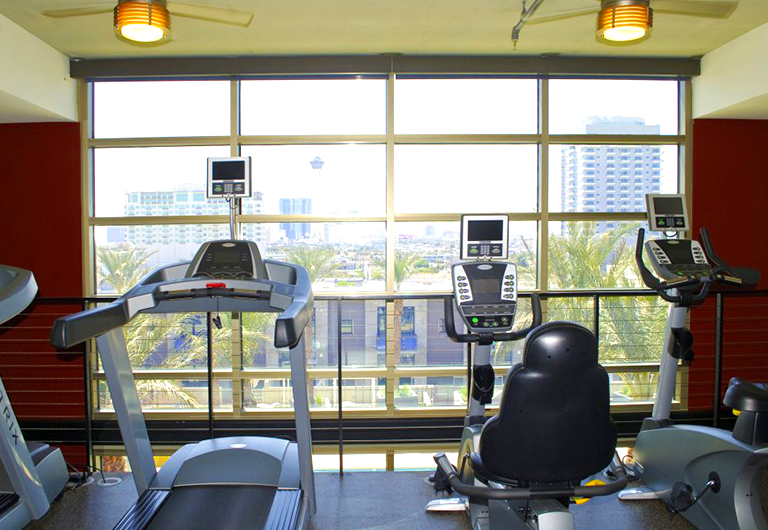 Learn more about the gym options in Downtown Las Vegas. If you’re looking for amazing Vietnamese cuisine, then look no further than downstairs from your home at Juhl. That’s right, not only will you fill up on amazing food at Le Pho, but you don’t even have to drive to get there. Le Pho is located inside the Promenade at Juhl and features some of Chef Vu’s amazing creations. Hungry visitors can indulge in the fast, fresh food that the restaurant serves up, including pho, Banh Mi sandwiches, fresh spring rolls, and more. With a mix of inspiration from his grandmother and guidance from his father, Chef Vu assures that every dish is perfect for his guests and their search for an unforgettable meal. In fact, Le Pho was recently recognized by Conde Nast Traveler as one of the 21 best restaurants in Las Vegas! Kerry Simon’s final restaurant remains the standard by which all other Downtown restaurants are held to. As one of the top dining choices of those who aren’t often in the downtown area, Carson Kitchen is sure to delight. Whether you’re enjoying live music upstairs on the rooftop patio or chowing down indoors, know that you are in for a great dining experience. Wash down one of their gourmet burgers or flatbreads with one of their shaken (or stirred) libations. Flock & Fowl and its newest location made its debut in Downtown Las Vegas on the ground floor of The Ogden in 2017. Started by James Beard-Nominated Chef Sheridan Su, Flock & Fowl was created with the mission of finding the perfect flavor and transforming everyday ingredients. With a vast menu, brunch options, and happy hour, this dining hotspot has everything you’re looking for (and more!). Stop by for Bang Bang Chicken Noodles or a Sunday Funday mimosa and enjoy one of Downtown’s most delicious locations. For more tasty places to eat, check out these new Downtown Las Vegas restaurants. Looking for like-minded Vegas locals who like to work hard and play hard? Vegas Young Professionals is a great networking group to start with. If you’re looking for an industry-specific business association, Las Vegas plays host to a number of professional and community-based associations. If you work in tech and are looking to find your place within the Downtown scene, try Tech Cocktail Week, which takes place on the second week of every month. Tech Cocktail combines “the intellect of TEDTalks with the creativity of Summit Series” and offers inspiring speaker sessions and startup showcases. Meetup offers something for everyone. Whether you’re a dog lover, a sports fan, or a book worm, with more than 100 groups, Meetup has a group tailored for you! Once a month, the Journalism and Women Symposium (JAWS) meets to network, discuss, and boost professional skills at this Atomic Liquors JAWS Mixer. Join these amazing women once a month at Atomic Liquors for food, drinks, and great conversation. Las Vegas is proud to open its arms to new residents and individuals who move here can expect sunny weather, luxury condos, and plenty of places to grab a drink or bite to eat.